Do you know Earth consists of just 1066 people, I mean Earth, Texas consists of 1066 people. The only place on Earth officially named Earth, well there are atleast two places named Moon, but our Earth has only one astronomical Moon or does it ? From september 2006 to june 2007, Earth had an additional moon named 2006 RH120, its a near earth sized asteroid which surrounds the sun, but for 13 months it felt on a orbit around the Earth and became the second moon to Earth. We can call it a moon because technically it is a natural satellite, a satellite which we humans neither built or put it there, moreover there is no official minimum size requirement. The Moon is a moon, Sputnik, International Space Station orbiting earth - not moon, they are artificial satellites. Astronomers believe that most of time Earth has additional moons, these newcomers do not tend to stick around long. Sometimes being around not more than a metre in diameter, they may be sensationally called temporary asteroid moons but yes, we have to admit the fact that Earth has more than one Moons, orbiting most of the time. But Earth is moving, moving at great speeds, our Solar system orbits the center of our galaxy at speeds of 782,000 kmh, that means in perspective of the center of our galaxy, it takes Earth 1300 years to travel a light year ! In other words, The Great Giza Pyramid was not only built 4,500 years ago but was also built 3.5 light years away, big deal, but what's is Earth worth? 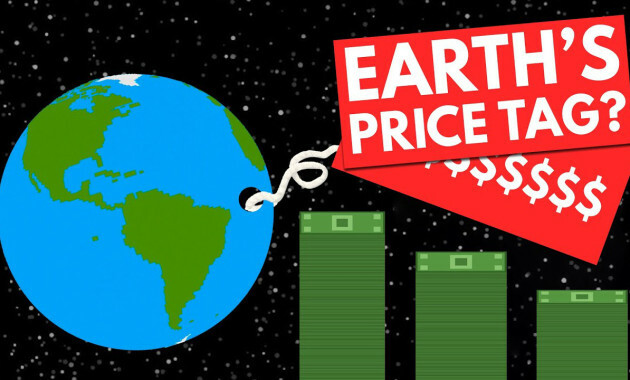 Could we assign a price for Earth ? Great Marph, an astrophysicist erected a beautiful equation for calculating value of exoplanets, it considers their habitability, their ease of being studied and ofcourse how much money we have spent looking for it. Funny enough, we can use this equation to solve for Earth, which on calculation was found that the Earth is worth $5,000,000,000,000,000 that is 5 quadrillion dollars, Similarly Another calculation from a channel put into account the amount of water, mineral resources and several other facts estimating Earth's value to be around 7 quadrillion dollars. 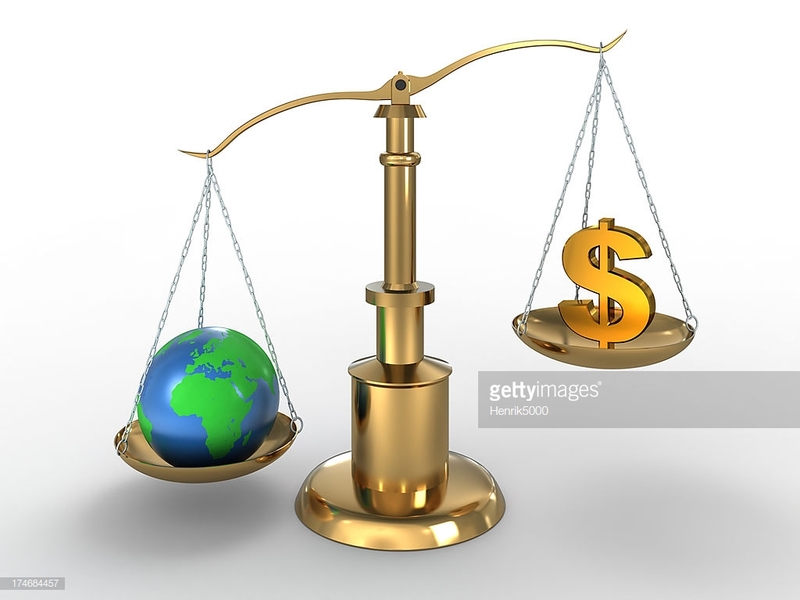 Suppose we isolate and extract all the minerals present inside a human body and find its market value, the body would be worth $2,000, the same set of math when applied to Earth, that is if Earth is mined fully and all its pure resources (minerals and elements) are extracted, assuming the market value stays stable, the minerals would be worth 15 sextillion dollars. Of course calculations like these do not take into account every single thing the planet has to offer, they also do not consider supply and demand. If someone from Earth or some extra terrestrial shoppers have quadrillions or sextillions of dollars or equivalent amount of powers, they would have the privilege to shop our planet. Imagine about the 10,000 asteroids orbiting Earth, only one of them orbiting earth, 433 Eros has worth a half quantillion dollars platinum within it. Well lets be a reallistic here, lets not calculate the value Of Earth on the scale of earth, rather calculate it on a gallactic scale or an Universal scale. If any alien shoppers would be speculating within the billions and millions of planets in our Milky way, would earth be of value of anything ?. Our Milky way is estimated to have anywhere between 100 to 400 billion planets. According to kepler space observatory, there are about 40 billion Earth sized planets in the Milky way, which may be potentially habitable, in the observable Universe, quadrillions of them. Is Earth worth a sell ? Firstly Earth is probably the only habitable planet within 12 light years at the least, its location can serve out to be an intergallactic rest stop. Life here on Earth may not have come from anywhere else but rather evolved here. How life has evolved here on Earth may be as unique, that at no place in the Universe other than Earth life would have evolved likewise. The wide biodiversity Earth possesses may be the only unique point for which our planet could be sold. The Alien buyes may not necesarrily understand our evolveness, if they are amused enough they can buy our planet as a sort of museum or zoo at the least. Ofcourse Interstellar earth shoppers wouldn't have earth currencies to buy and space cash would not be worth anything here, but the technology it would take to reach us would be atleast thousands of years ahead of us, so an affordable trade might be say make use of earth in exchange of your knowledge and fair relocation of all earthlings to another earth like exoplanet. Boy ! This type of speculation is completely sci-fi, so don't get offended. 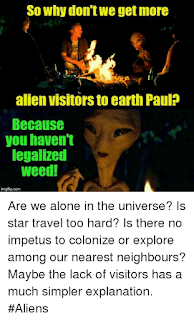 But the one thing we know that Despite all the uniqueness in biodiversity we have, Despite our planet being the only habitable planet in some distance, Despite the list suggesting 10 things why aliens would want to have Earth for, we have 0 offers. Why Earth has no offers yet ? Why Earth has no offers yet ? The Fermi Paradox firmly phrases the puzzle, from so many friendly earth like planets moving out there some of which are older than earth, why haven't we be visited once ? Maybe Earth and its intelligent life are pretty rare or maybe earth is so typical and so unremarkable, no advanced civilisation are bothered to stop by. But this raises another question are we questioning the situation all the way around, maybe our earth is owned by any other superior extra terrestrial beings and they are the ones who operate the barter system, for instance when India and Pakistan divided in 1947, Jinnah didn't consult the squirells before the partition, he just did it, maybe this could be the exact situation we may be in. Furthermore this entire question rests upon the fundamental assumption, the assumption that other extra terrestrial beings share our concept of ownership, and the belief that physical things can be bought and said, among earthlings human bartering is pretty unique, only we have developed complicated social norms for the barter of goods, currency for goods, that you can own a piece of land on Earth. Sure animals are also territorial but they have not developed that into a rigorous sense of fair exchange. We can teach some animals to use tokens in exchange of goods but they do not incorporate economic ideas in their lifes. The most we can see that animals barter for services but not goods. Why ? They may lack the ability to track of long term transactional histories, they also lack two more extremely important things, communication and enforcement. Ownership and the right to buy what you make is useful only when you have punishments and laws enforced upon violating these conditions, ofcourse communication is also pretty important. And if you do not have enough power, someone or something more powerful would make decisions for you. For instance we have decided that animals don't own selfies. 3 years ago in Indonesia, a monkey stole away a camera of wild life photographer Mike Slater, he later retrieved the camera and found out that the monkey had snapped few selfies of himself, slater maintained that he should receive royalties, but US Federal regulator stated since a non human animal created the image, these photos should be published in a public domain, and belong to all of us, same goes for selfies taken by elephants and lambs and not just selfies same goes for paintings made by chimpanzees or dog artist. So, maybe Earth is worth quadrillion or sextillion dollars, maybe its worth renting or exchanging with technological know how. The mere fact that we conceive ourself selling our own planet is extremely incredible ! We really own it like finders and keepers but we didn't stumble upon earth, we really just emerged from it, we didn't build earth, if anything its selective pressures built us, does that mean us selling our earth would be like a child selling its own parents. No, not really, because we here are in with a purpose. The perfect metaphor would be we may not be the owners of earth or neither the child but rather we would be earth's very first effluvia. In context of our body, effluvia are certain ambitions inside our body which make us giggle, and isn't this what we are sometimes stinky , messy that is built up within which would one day end up discharged out in the space ! I guess a price tag on earth is a speculation, we don't know wheather we would be earths sales person but what we do know is that we are Earth's first fart. If you like my content don't forget to share and subsribe my blog. Any suggestions and reviews on my blog only on the comment section. what could earth be sold in exchange of ? What is earth worth ? why earth has no offers yet ?. 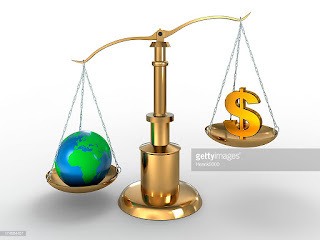 why earth is worth a sell ?